For centuries it has stood at the crossroads of English history. Newark witnessed the death of King John, the climax of the Wars of the Roses and yielded one of the finest Iron Age Torcs ever found. But its most tumultuous moment came during the epic 17th century conflict between King and Parliament when 16,000 troops besieged the Royalist outpost for six months. 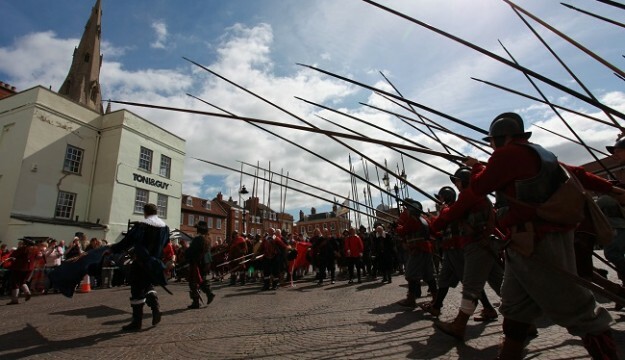 The town’s fall signalled the end of the first phase of the British Civil Wars and standing in the bustling cobbled market square it’s easy to be transported back to those turbulent days. With its half-timbered buildings and formidable castle (with earthen siegeworks nearby), Newark’s civil war landscape ranks as the nation’s finest. 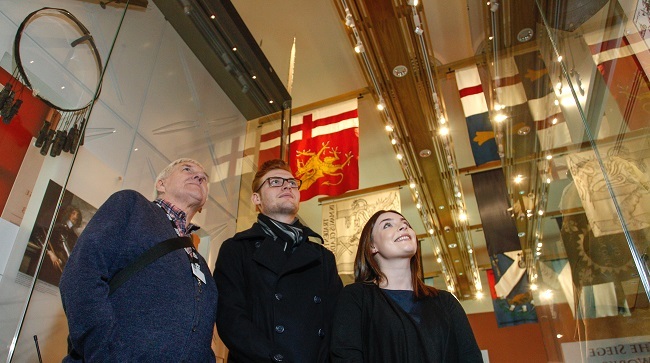 Fittingly, it is now home to the UK’s first National Civil War Centre where artefacts, interactive displays, films and cutting edge technology combine to tell the story of how a King was supplanted by a squire and how brother was pitted against brother. A new exhibition also reveals how surgeons defied the odds to save lives and the plight of the maimed and widowed in a deeply scarred country. The bullet-pierced uniform of an ill-fated Royalist officer is an especially poignant exhibit and period medical instruments will send a chill down the spine. Newark has a time-less quality and with its historic inns, shops and restaurants and with glorious Southwell Minster and Sherwood Forest on the doorstep, there’s never been a finer time to visit. Before you do make sure to download an exciting free app for smart devices which uses augmented reality to transport you back in time and hear the true stories of civil war figures in authentic locations. Search for NCWT on Google Play and at the iTunes Store. Alternatively pick up your paper copy of the trail on arrival at the Centre. Contact us to discuss group rates and bespoke packages to make your visit extra special. Newark has a wealth of ample coach parking and driver’s facilities. Please do get in touch at civilwargroups@nsdc.info to discuss your requirements. The National Civil War Centre is open 10am to 5pm daily.